Spanish telecom Telefonica is predicting that London will be the first European city to offer a mass market, NFC-enabled mobile payment system, according to mobileeurope.co.uk. Pablo Montesano, Telefonica’s Director of Mobile Financial Services, cited London’s hosting of the 2012 Olympics as the main driving factor behind the city’s predicted push for NFC. Additionally, says Montesano, the elements required for a successful NFC deployment are coming together in London as more and more handset makers offer NFC-enabled devices and consumer awareness of the technology broadens through the city’s contactless transit and payment programs. 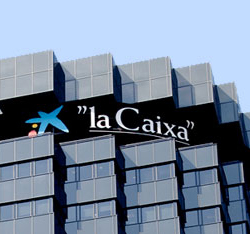 Telefonica, along with La Caixa and Visa, who has exclusive payment rights for the 2012 games, is currently conducting an NFC mobile payment pilot in Sitges, a Spanish resort town south of Barcelona. Trial participants use NFC-enabled Samsung Star handsets loaded with Visa’s Java-based payment application to make transactions at NFC payment terminals. So far 1500 users and 500 merchants have participated in the trial, which began in May and will end in November 2010, according to Mobile Europe.